There is a story of a sea captain who in his retirement skippered a boat taking day-trippers to Shetland Islands. On one trip, the boat was full of young people. 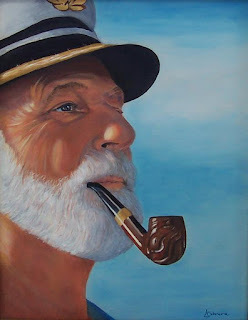 They laughed at the old captain when they saw him say a prayer before sailing out, as the day was fine and the sea calm. However they weren't long at sea when a storm suddenly blew up and the boat began to roll & pitch violently. The terrified passengers came to the captain and asked him to join them in prayer. But he replied, "I say my prayers when it's calm. When it's rough I attend to my ship." If we cannot seek God in quiet moments of our lives; we are not likely to find him when trouble strikes. We are more likely to panic. But if we have learnt to seek him and trust him in quiet moments, then we most certainly will find him when the going gets rough ! In a difficult situation,what one should do, GO AHEAD with your judgement or LEAVE the things to GOD for guidance.